1. Is a single promotional card worth £5.50 (plus postage)? 2. Is it worth reviewing a single promotional card? If your answer to both questions was, "No, it's only a card," you're wrong. 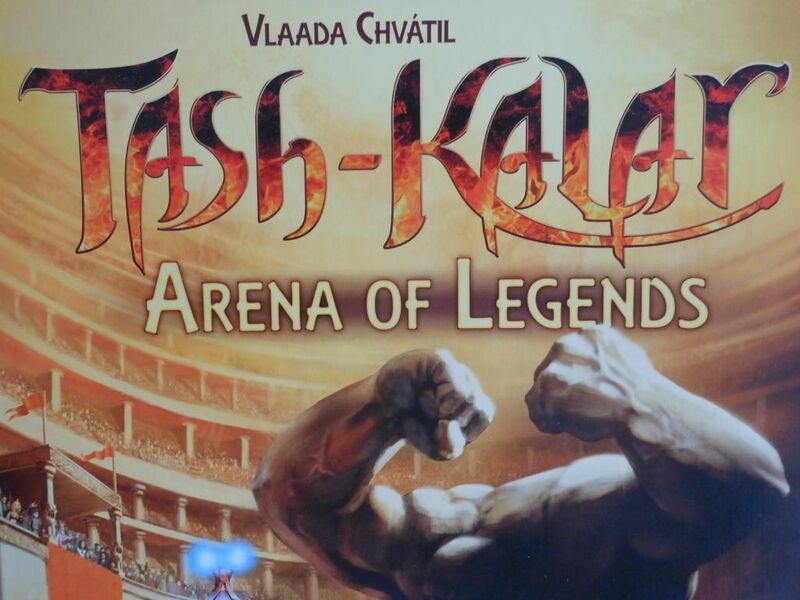 If your answer to both questions was, "Yes, but only if it is a promotional card for the exceptional Tash-Kalar: Arena of Legends," then congratulations. You've won yourself a teapot. You see, here's the thing... I'm not keen on promo items. They are usually only available by visiting conventions in a country where I don't live, by pre-ordering something that might not even be very good, or by paying an obscene amount of money to someone on the Internet. Furthermore, promos can seem odd or awkward. They may be silly in-jokes that are jarring with the theme of the game, or they may be wildly imbalanced or overpowered. After all, it's only a promo so it doesn't have to be balanced, does it? I don't like the idea of components that enhance gameplay only being available to a certain few people who are lucky enough to be in the right place at the right time, or who happen to have a lot of spare cash to throw around. I really don't like the idea of paying a lot of money for something which turns out to be a bit rubbish. I really, really don't like the idea of paying a lot of money for what is, essentially, "only a card." So, I don't really like promos. The Legendary Summoner card for Tash-Kalar: Arena of Legends is that exception. For a start, this is a promo that was (and is) readily available through Spielbox magazine. Just purchase Issue 6, 2014, and this little card is snuggled away in the centre pages. Okay, I ended up having to pay £5.50 plus postage for a magazine I wasn't that interested in, just to get the card I was interested in, but at least it was easy. Most importantly for me, it is a promo that integrates seamlessly with the original game. It is simply a new legendary creature that you shuffle into your legend deck at the start of the game. It is the same card quality as all the other cards in the game, it has stunning artwork by David Cochard, who illustrated all of the cards for the base game and the Everfrost expansion, and the only hint of an in-joke or knowing wink is the fact the creature is actually the same one that appears on the back of the legend cards. However, I do think the card might be slightly overpowered. 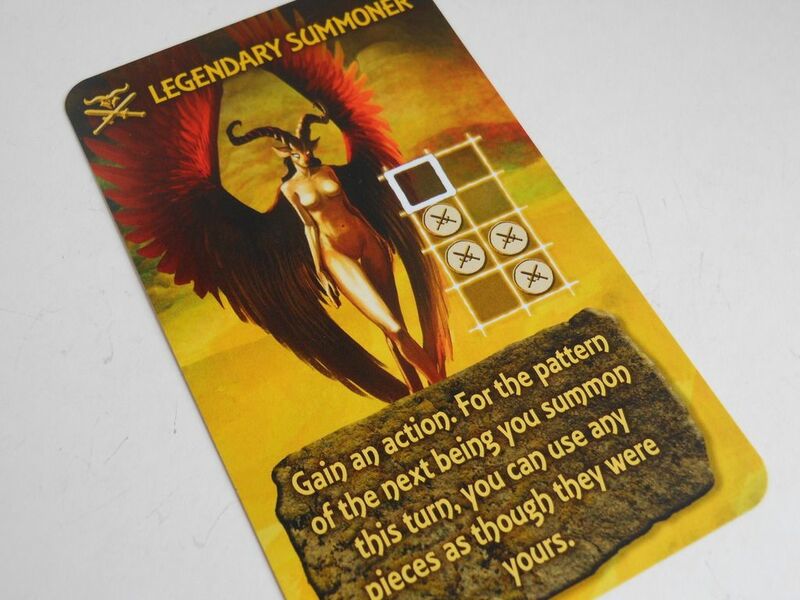 With a formation of four heroic pieces, it is possible to summon the Legendary Summoner. You then gain an action, and for the next being you summon that turn you get to use any pieces on the board, regardless of colour. This makes it pretty easy to string together some really nasty combos, summon over the top of enemy pieces, blow apart tight formations, drop pieces into the perfect place for even more summoning mayhem, or secure points based on mission cards. But it's a one off. And everybody has a chance to draw it from the communal legends deck, so it isn't giving a distinct advantage to any one player. And there is a chance nobody draws the card throughout the entire game. And when I think about it, quite a few of the legend cards have the potential to turn the game on its head. And it's only a promo so it doesn't have to be balanced, does it? 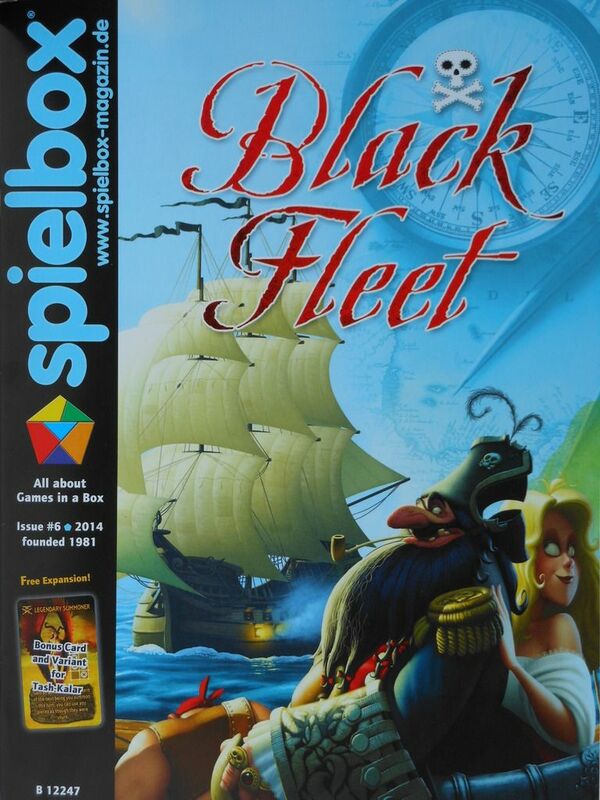 Besides, if you are worried that drawing a certain type of legend gives any one player a distinct advantage you have the option to use the variant version of the rules published in the Spielbox magazine. Rather than players drawing legends into their own hands, there are three communal legends that any player can summon if they meet the criteria. Whenever a player summons a legend, a new legend is drawn and added to the communal offer. This variant helps to level the playing field between novice players and advanced players. Seasoned veterans can often tell what legends a player is trying to summon, based on patterns on the board, and this gives them a distinct advantage over novice players who do not know what patterns to watch out for. However, with the new variant, everyone knows what legends are up for grabs, and what patterns are necessary. This makes it easier to screw up an opponent's pattern, to prevent him or her from getting a legend on the table, and it is much more difficult for seasoned players to disguise their moves. In my experience, the variant makes the game more aggressive. Players tend to spot what opponents are trying to do, and they go to extra lengths to smash up formations. It's very cutthroat, and it makes getting legends onto the field trickier (and more satisfying). Interestingly, the variant also makes the Legendary Summoner slightly more powerful. This is because all of the players are going for the same legends, so there is a better chance there will be pieces on the board in a formation that you can make use of. To be honest, I'm not that keen on the variant. I feel it tends to draw the attention of the players away from the objective of the game (killing opponent pieces, or meeting the criteria of mission cards), so they start to focus instead on preventing legends from coming into play. It makes the game drag a little bit, especially as players spend a bit longer trying to figure out if an opponent is about to summon an available legend, and you get less of those "a-ha" moments, where you pull the wool over your opponent's eyes and bring out an unexpected legend. Still, it's nice to have the option of a different way of playing, and the variant does make the game feel different. But really, nobody is going to buy Spielbox for the variant rules. It is all about that card. Now, here's the thing: I was predisposed to like the Legendary Summoner. Tash-Kalar is one of my favourite games ever. I acquired the original version as soon as it was available in the UK, I jumped at the chance to playtest the Everfrost expansion, and I purchased that expansion and the base game upgrade kit as soon as they hit retail. I had to have this promo card to add to my collection, and would probably have paid even more for it than I did. It's nice to have more variety, and at a time when I am starting to guess which legends my opponents have based on the formations they are making on the board, even a single card helps to shake things up. But does this single card really enrich the experience? It's only a card, after all.